These White House communications tapes were discovered in 2011, made in the immediate aftermath of President John F. Kennedy's assassination involving Air Force One in flight from Dallas on Nov. 22, 1963. 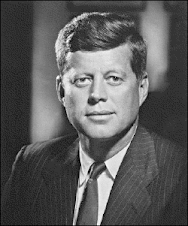 The assassination of President John F. Kennedy endures as the pre-eminent mystery of American history. How a popular president came to be shot dead in broad daylight has never been explained by Washington in a way that the majority of the American people find credible. A new History Channel poll finds 71 percent of respondents reject the official story that one man alone killed JFK on Nov. 22, 1963. The tragedy in Dallas has been the subject of six official inquiries over the past 50 years, hundreds of books and dozens of documentaries. By common consent, the release of 4 million pages of long-secret documents since Oliver Stone’s movie JFK has clarified some disputes about the events leading to Kennedy’s death. Yet the new records also raise new questions. Secret CIA files: The nature of the CIA’s interest in accused assassin Lee Harvey Oswald before Kennedy was killed is still shrouded in official secrecy, even after 50 years. The story the CIA gave to the Warren Commission in 1964 — that Oswald had attracted only routine and sporadic attention — is erroneous. Documents released by a civilian review panel in the 1990s revealed that senior CIA officers had monitored Oswald closely between 1959 and 1963. The officers most knowledgeable about Oswald before JFK was killed reported to Jim Angleton, a legendary spymaster who headed the agency’s counterintelligence staff, and Deputy Director Richard Helms, who would become known as The Man Who Kept the Secrets. Both are dead, yet their actions are not yet subject to full disclosure. Last year, a CIA official acknowledged in a sworn affidavit that the agency retains 1,100 records related to JFK’s assassination that have never been made public. These files are “not believed relevant” to JFK’s death, according to the CIA. The online database of the National Archives indicates these records concern the operations of six CIA employees involved in the JFK story who reported to Helms and Angleton. William K. Harvey [ That's 1], a legendary operative who oversaw the CIA’s efforts to assassinate Fidel Castro. Harvey’s contempt for John and Robert Kennedy cost him a high-ranking position in mid-1963. David Phillips [2 ] and Anne Goodpasture , career officers who monitored Oswald’s movements in Mexico City weeks before JFK was killed. 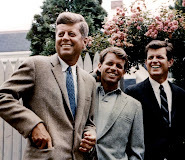 In the ’70s, they testified that they learned about Oswald’s recent contacts with suspected Soviet and Cuban intelligence officers in October 1963. Howard Hunt  and David Morales , two swashbuckling operatives who made statements late in life that seemed to implicate themselves in JFK’s assassination. Air Force One tapes: New details about the Pentagon’s response to JFK’s assassination have emerged in recent years, but a significant portion of the story is missing. In October 2011, a previously unknown recording of Nov. 22, 1963, radio communications to and from Air Force One, the presidential jet, surfaced at a Philadelphia auction house. 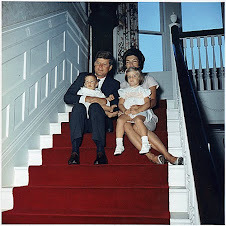 The tape was found in the estate of Gen. Chester Clifton, an aide to JFK who died in 1991. The recording, donated to the National Archives, revealed how the Air Force immediately sent a plane to pick up Chief of Staff Curtis LeMay in Canada. LeMay, a harsh critic of JFK’s foreign policy, returned to Washington, where he may have attended JFK’s autopsy. The conversations about LeMay’s movements were edited out of the shorter version of the Air Force One tape released by the LBJ Library in the ’70s. Both the LBJ tape and the Clifton tape were taken from a longer Air Force One recording, according to Primeau Forensics, an acoustic engineering firm that worked with JFK researcher Bill Kelley to clean up and transcribe the recordings. The available tapes capture 88 minutes of conversation. 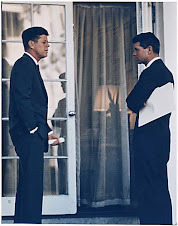 Kelly notes that the flight from Dallas to take JFK’s body back to Washington took almost four hours, or 240 minutes. So it is virtually certain that there were other conversations to and from Air Force One that fateful day that were recorded but have never been heard. Even after 50 years, the real-time response of the Pentagon to the violent death of a commander in chief is not part of the public record. What these unknown chapters from the JFK story might reveal about the perennial conspiracy question will only be known if — and when — the CIA and Pentagon produce the missing JFK records. Jefferson Morley is moderator of JFKFacts.org and author of “Our Man in Mexico: Winston Scott and the Hidden History of the CIA.” He wrote this for The Dallas Morning News. His email address is info@jfkfacts.org.